When I was a child, my mother did yoga. I have a vivid image of her in black tights and leotard, trotting off to our swim club – where lessons took place in the “party room,” in front of the fireplace. She took a towel with her. It was 1976. There were no yoga mats. 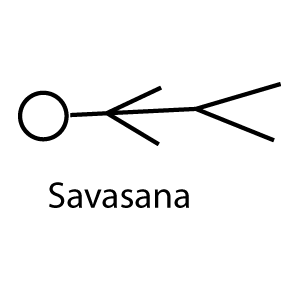 She boasted that the teacher said she was doing well as she often fell asleep at the end, during Savasana – corpse pose. I do not do yoga. I have written about it before. That I wear this like a badge of honor. That I am the massage therapist who does not do yoga. Who wears red lipstick, tailored clothing and heels. Ever the contrarian. Until last Thursday, at 6:30 a.m., when I am. My friend Jeanette is to my left and a little bit forward, so I can watch her out of the corner of my eye. She is tall to my short. She knows what the poses are as they are called out. I know many of them too. It is untrue that I have never done yoga. I have dabbled, and not liked it. Sometimes because I wanted a more vigorous workout. Sometimes because I felt intimidated. Mostly, because it made me cry. My last attempt at yoga was in Seattle. One of my last efforts to bring my then-husband and I together. He had found a studio on the top of Queen Anne Hill that he liked. Small – with just enough room for six mats. The students were fairly consistent each week, and none of them looked like “Western Yogis.” Most came to heal a physical or emotional wound. He liked the teacher. And he thought I would too. But every session I found myself on the verge of tears, wondering when class would end. The poses were not terribly difficult. But we held them for what seemed like forever. I felt my chest rip open – my beating heart vulnerable and exposed. Too much. I told her that. She said it was good. Everyone said it was good. That I needed more of it. It did not feel good. And while always one to push myself toward more growth, I did not feel like I needed more of it. So it is a surprise to find myself here on the first day of spring, in the front row of a hot studio, not quite heated to Bikram temperatures, but more than warm. It is snowing outside. Big, fluffy flakes. It is March 20 and the room smells like men’s body odor, which is different from women’s. The room is darkish. At times, even darker. The music changes. At moments verging on electronic dance. We begin the session with a collective OM. I feel the words resound in my ears and bounce off the walls around us. I think of my synagogue in Seattle – the meditation congregation, Bet Alef. Rabbi Olivier began each Friday night service with several collective ShalOMs. The instructor’s name is Veronica. I have shared my yoga trepidation with her before class, as I was the first to arrive. 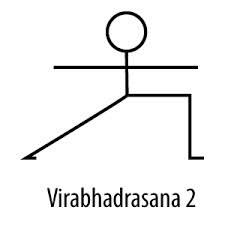 The movements are faster, fluid — Vinyasa. It feels better to me. And I can mostly follow along. Veronica makes adjustments to my body. Uncurling my toes. Instructing me to bring my feet closer together. To lean into the edge of my foot for balance. My mat gets wet from sweat and I run a towel along it to keep from slipping. And it all becomes too much. Too hot. Too fast. Too challenging. I drop into child’s pose and sob quietly. Tears mixed with sweat. Damn it. My broken heart has seeped through the steely concentration of my mind and body. And I allow myself to weep. I stay in this position for what feels like a long time. I remember Jeanette telling me about a man who lied on the floor with his legs on the wall for the entire hour. I feel permission to do whatever it is that I have to do. 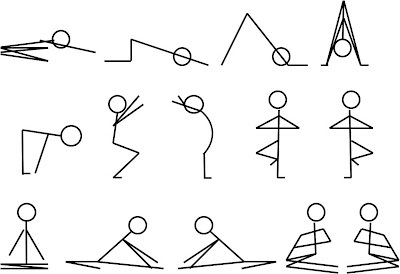 That I can stay in child’s pose for the entire session if I feel like it. Veronica puts per fingers on my tailbone and gently pushes it towards my feet, curving down to the earth. It feels good to be touched just a little. But I do not stay in child’s pose for the whole session. I rise up again, into Warrior. Warrior II. Warrior III. We end class with a collective OM. Jeanette high-fives me. Veronica reminds me I have a week of unlimited classes. I slip a schedule into my bag. A calendar of possibilities. A reminder. I can do anything for an hour. I will rise up again.